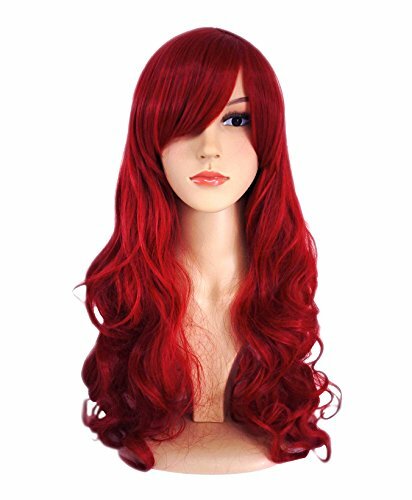 Our wigs are made of high quality synthetic fibers, the quality is guaranteed. 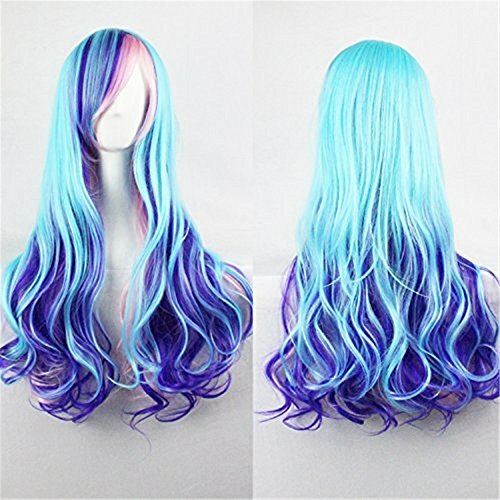 Try our wigs, top service and quality belong to you. Easy to Use: Transforming your look in seconds. 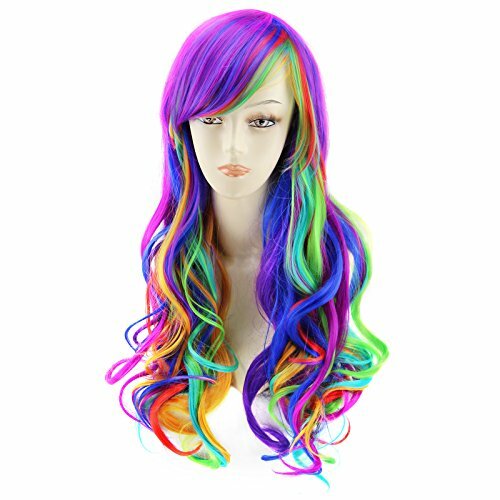 Perfect for party, cosplay, carnival, festival, holiday, daily or any other occasions. Easy to Wash: You can just use a little mild shampoo in cold water. Easy to Care: You can cut or trim the wig into any style you like. 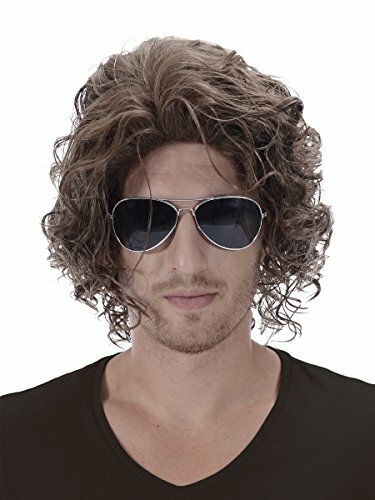 More Details About the Wig: Color: Brown Condition: Brand New Length: 11" Weight: 4.5 oz Material: High quality synthetic fiber. How to Store the Wig: You can store it in the wig box or put it in a plastic bag with small round holes. Keep in a dry place. Warm Tips: 1. 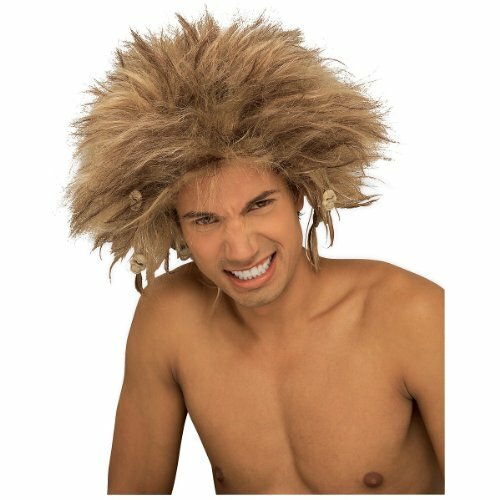 All synthetic hair wigs may happen to minimum shedding and tangling, which is normal. 2. Due to the different monitor and different light, there may be a slight color difference between pictures and real items, which is normal. Our Services: If you have any problems during using this product, please feel free to contact us for a satisfying solution. Thank you very much for your understanding. 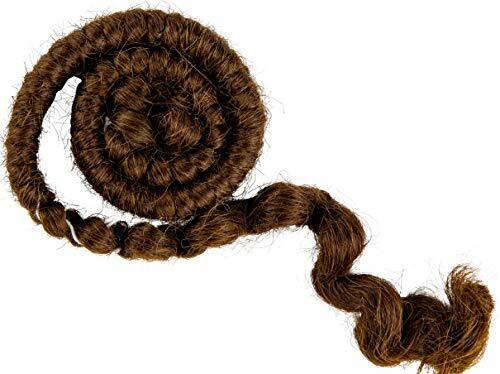 12" tightly woven braids of synthetic wool. Braid will straighten out to three times its packaged length. Available in a variety of colors.How to Use:Straighten braid out by ironing between pieces of wet fabric. Crepe Hair can be glued directly to the skin with Spirit Gum or Latex. For realistic beard, apply in layers. To comb out, use a wide tooth comb or pick. Crepe Hair can be "painted" with Liquid Makeup or Hair White.The Mehron Story:Mehron Makeup has been the leader in professional makeup for over 90 years. Our products are used on the runway, stage, and movie sets around the world. Mehron Makeup is proud to offer distinct professional products for each of our three major makeup segments: beauty, body art, and performance. Proudly made in the USA since 1927. Make an appointment for some stylin' fun with this trend-setting stylist set. 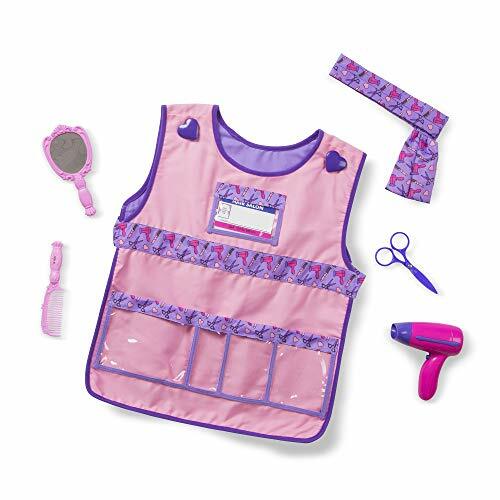 Your young stylist can put on the machine washable smock, with its personalizable name card and can use the comb and brush for a new style every day. Go gold this Halloween with this glittery gold hairspray! With the Gold Hairspray you'll not only be able stylize your hair, but completely change it into a golden vision of desire. This hairspray is perfect for a lioness costume or a dazzling golden dancer costume. Made from soft and smooth synthetic fiber.Great for costume party and cosplay wearing with our friends.